On sale for $.99 – sweet bedtime apps for little your little ones. 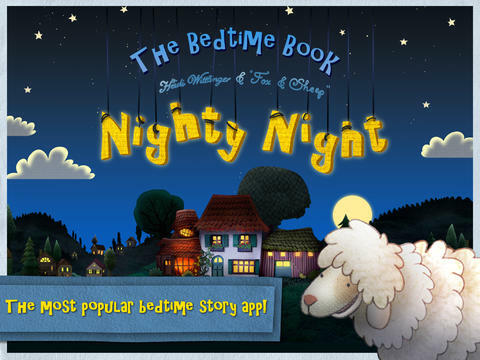 Over 3 million downloads and counting… Nighty Night is the perfect go-to-sleep app for kids 1 – 4. The app has it all – cute animals, sleepy lullaby music, great narration, and fabulous artwork. The artwork is beautifully done by Heidi Wittlinger, an Oscar nominated artist. The story is perfect for your child’s bedtime ritual. Kids help to put 7 sleepy animals to bed by clicking off the lights around the farm thus setting the mood for their own bedtime. 🙂 Six additional animals can be added to the story with in-app purchases. The story can be switched from the winter version to the summer version and it can be changed to 12 different languages – English, Dutch, French, German, Italian, Japanese, Portuguese, Russian, Chinese, Spanish, Swedish, and Turkish. This educational app is really lovely and it has been successful internationally. It won App of the Year 2011 in the “books category” in Germany & the U.S. It also reached #1 in iPad books in the US, Brazil, Spain, Denmark, Portugal, Germany, Sweden, South Africa, Australia Switzerland and Austria! Love this app!! Nighty Night Circus is also on sale for $.99. In this app kids help put eight circus animals to bed by switching off the lights or blowing out candles. Each circus animal wants to show his tricks off before going to sleep – super cute! The app has all of the same great features as the original – cute animals, sleepy lullaby music, great narration, and fabulous artwork done by Heidi Wittlinger. 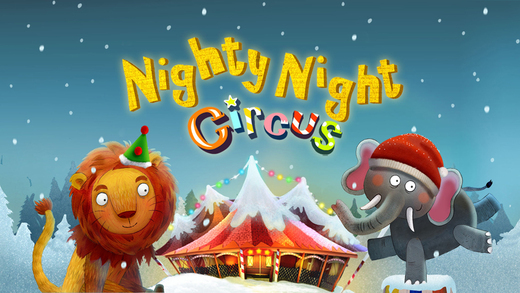 It’s no wonder that Nighty Night Circus is on Apple’s Best of 2014 list!